-3- Your stand on those three proposals of Michael White is exactly the same as my own reaction to them. If you want you can tell him so. Has anything come out anent the National Elections this next June? Can't we turn out a ticket soon? 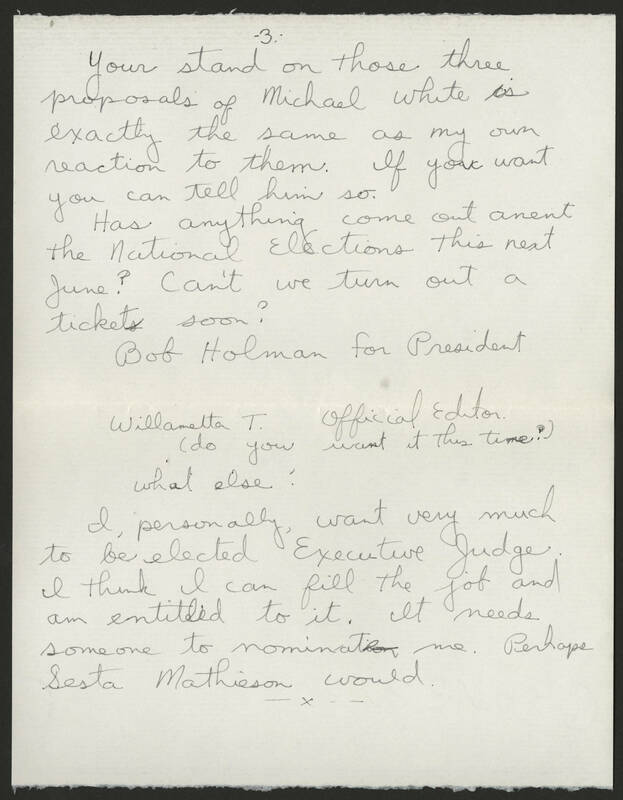 Bob Holman for President Wilametta T. Official Editor (do you want it this time?) What else? I, personally, want very much to be elected Executive Judge. I think I can fill the job and am entitled to it. It needs someone to nominate me. Perhaps Sesta Mathieson would.